The heads of the various American intelligence agencies including National Intelligence Director Dan Coats, CIA Director Gina Haspel and FBI Director Christopher Ara during a Senate hearing on world-wide threat assessment differed with the president on many issues including Iran, North Korea and ISIS. 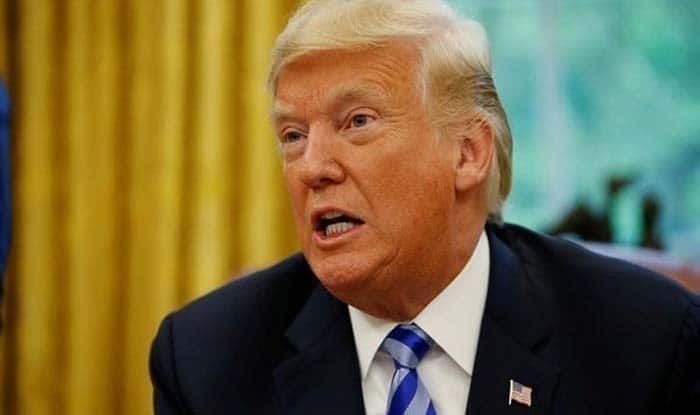 Washington, Jan 30 (PTI) President Donald Trump on Wednesday called US intelligence chiefs “extremely passive and naive” and advised them to go back to school after they contradicted him on threats posed by Iran, North Korea and ISIS during congressional testimony. They told a Senate committee on Tuesday that the nuclear threat from North Korea persists and that Iran is not taking steps towards making a nuclear bomb, conclusions that contrasted starkly with Trump’s assessments of those countries. Asserting that Iran’s nuclear programme remains dangerous, Trump tweeted, “The Intelligence people seem to be extremely passive and naive when it comes to the dangers of Iran. They are wrong! When I became President, Iran was making trouble all over the Middle East, and beyond. Since ending the terrible Iran Nuclear Deal, they are MUCH different, but a source of potential danger and conflict, Trump said in a series of foreign policy tweets. They are testing Rockets (last week) and more, and are coming very close to the edge. There economy is now crashing, which is the only thing holding them back. Be careful of Iran. Perhaps Intelligence should go back to school! he said in his harshest criticism of the powerful intelligence community of the country. Trump said when he became the president, ISIS was out of control in Syria and running rampant. Since then tremendous progress made, especially over last 5 weeks. Caliphate will soon be destroyed, unthinkable two years ago, he asserted. North Korea’s relationship is best it has ever been with U.S. No testing, getting remains, hostages returned, he said, adding that there is a decent chance of denuclearisation. Time will tell what will happen with North Korea, but at the end of the previous administration, relationship was horrendous and very bad things were about to happen, he said. Now that is a whole different story, said the US President who is scheduled to meet the North Korean leader Kim Jong-un in February. I look forward to seeing Kim Jong-un shortly. Progress being made-big difference! Trump asserted.